In this post, I will describe the process of integrating the Oracle BPM/Human Task and Oracle UCM/Web Center Content. This is required to get the Attachment functionality in you BPM process or in Human Task flow. Document Store not available. Please configure the document store. You need to make sure that your SOA/WLS/UCM configuration is correct and these settings are scattered on multiple locations in Oracle Enterprise Manager. 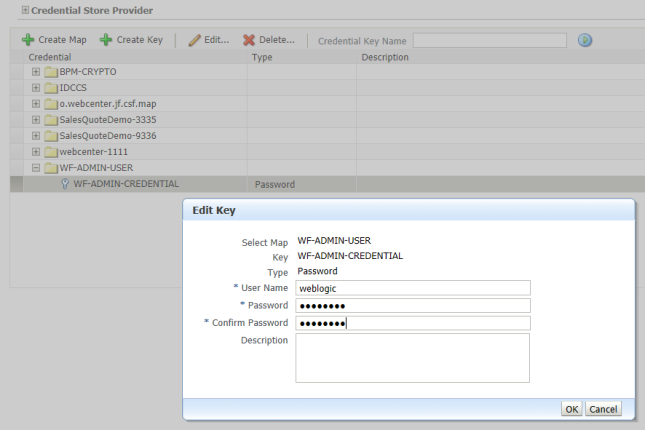 configure the username and password the BPM/SOA engine will use to connect to the UCM server which is located in the Weblogic section of EM. 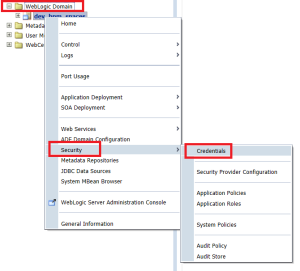 So rightclick on your domain in Weblogic Domain -> yourdomain -> Security -> Credentials. make sure the UCM server will accept our connection, so right click the Oracle Universal Content Management server in the WebCenter section of your Enterprise Manager. Make sure the Intradoc (IDC) serverport is correct and that the IP filter contains the SOA/BPM server hostname. That’s’s all, Now you can attach files to your BPM or Human task flows. If you have configured for the Notificatons in your Human task or BPM process, The attachments can be sent alongwith Notifications. Will describe about the BPM Notifications in my next post.